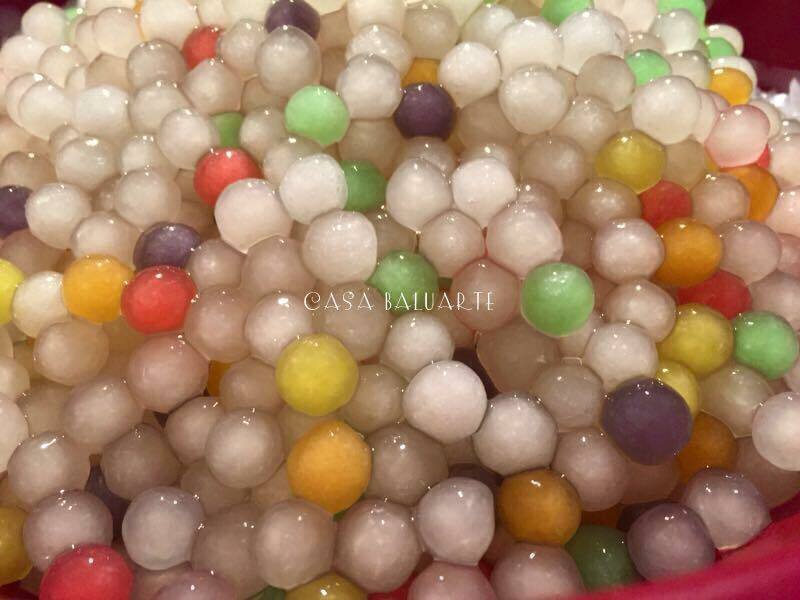 Try this simple yet very filling Tapioca Pearl Fruit Salad. Drain the first 4 ingredients for at least 2-3 hours. Blend the condensed milk, table cream and flavor extract in a deep mixing bowl. 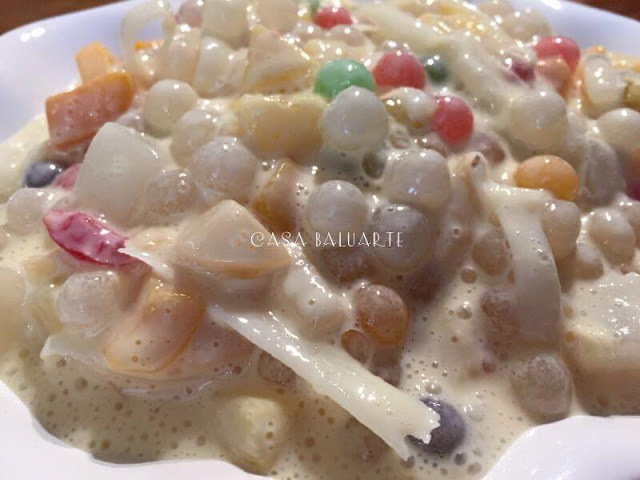 Add the drained tapioca, coconut, nata de coco and fruit cocktail. 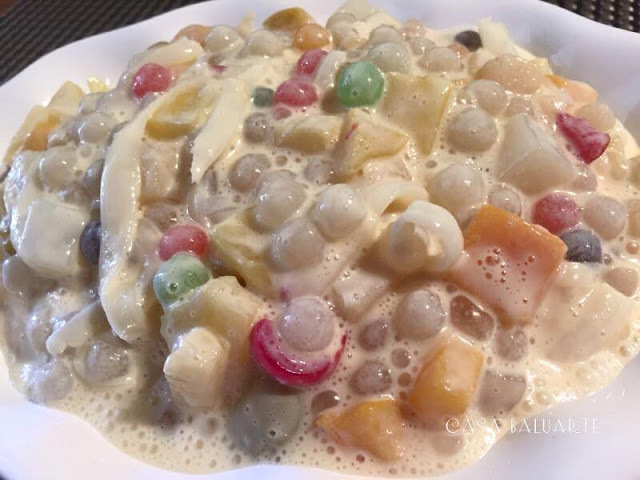 Mix well and refrigerate over night before serving.